For a long time, I’ve been bothered by the fact that in many offices, you often cannot distinguish believers from non-believers simply by observing the way they do their work. It appears that children of God also tend to slack and exhibit poor work ethics in many other respects. The popular belief is that we shouldn’t extend ourselves beyond the minimum and that travelling the moral high road at work will stunt our progress. That got me thinking: Isn’t it possible to operate with higher standards in our workplaces and still succeed ’cause frankly, we all want to make it and make it big? So, how can a believer prosper in, say, business without cutting corners, cheating people and bringing shame to the name of our Saviour, Jesus? On a general level, how can we shine as lights in our workplaces? And what, specifically, does the word of God teach and promise in this regard? 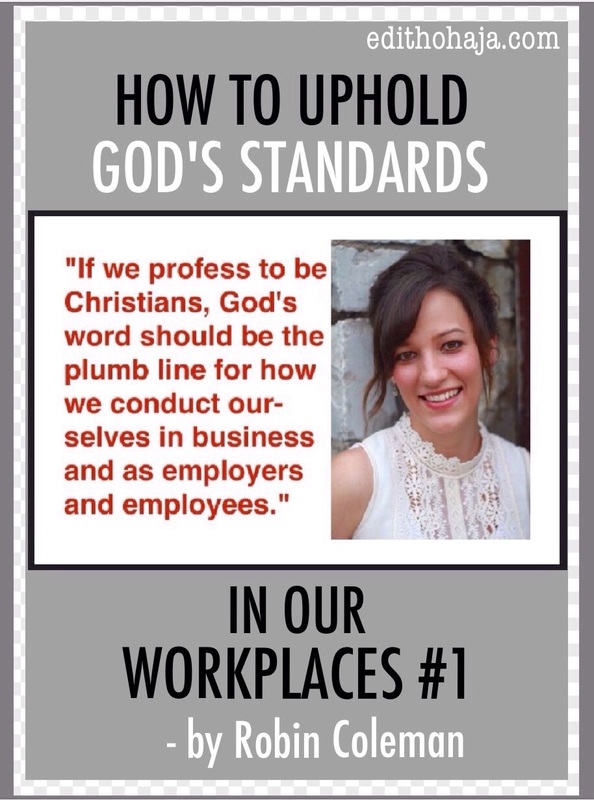 To help us address the issue and answer these nagging questions, we have this two-part article on “How to Uphold God’s Standards in our Workplaces”. Besides workers, the article is also relevant to those learning vocations and students because once we imbibe dishonesty, negligence, etc. at that level, we transition with them to the arena of employment. This first segment of the article identifies common pitfalls for the working Christian while the second segment provides the teaching of the scriptures on the matter, ending with specific things we can do to shine as lights in our workplaces. Thank God for our beloved sister, Robin Coleman (author, saleswoman), who contributed this article. In the world we live in, our Christian standards of how we should conduct ourselves as employers and employees has largely become a matter of opinion. It would appear that God’s word is no longer the plumb line for many who claim the faith, but rather our conduct is left to our own impulses. So what are these “common pitfalls” I mentioned? Have we succumbed to the lie that they are unavoidable in the world we live in? Do we feel it is impossible to be successful without them? How can we, as genuine believers, guard against this and choose to raise the standard of holiness in our work places to what God’s word requires of us? Let’s start with the first question. Lying, cheating, cutting corners, laziness, backbiting, gossip, negativity, stealing, ignoring the rules, greed, negligence…these things happen often in the business world today. Some of those may seem rather serious and something a “Christian” would never do. But though we may not call it for what it is (e.g. a white lie vs. a straight-out lie), our sins and choices are just as bleak and condemnable as those of the world, and worse because we profess to hold ourselves to a higher standard. This is why the world looks at many professing Christians as hypocrites. Outside of church, we often fail to “walk the talk” or even to “talk the talk” in our efforts to not cause ripples, to go with the flow or fit in. I remember a working experience where professing Christian co-workers would put on a front, smile it up when a customer or employer was present, but would begin gossiping, backbiting and speaking negatively the moment their back was turned. It was like a sickness everywhere in that facility. Negativity oozed from every office. They knew how to change their tone the moment they were around someone with a higher or lower standard. In essence, they could “talk the talk” that was well received by its hearers. In another working experience with a professing Christian co-worker, I witnessed corners being cut and complete disrespect and disregard for certain rules because they deemed them “a waste of time”, “stupid” or “unreasonable” and the employer would “never know” if they followed them or not. In the restaurant business and other places, I’ve seen many staff pilfering food and items as if it was “no big deal”. Laziness and being slack or negligent are very common as well. I remember an occasion where a colleague blatantly lied about something we were selling, inventing a story just to make a sale. When confronted, the person justified and explained it all away. Another colleague snaked potential customers from a fellow worker after that person had already done all the work and then claimed their sales. This may seem smart in the eyes of the world but it is not God’s way. If we are doing it because we feel it’s the only way to succeed, we clearly haven’t been paying much attention to the scriptures. Our fear of struggling to make ends meet except we operate in unrighteousness is misplaced because prosperity in God’s word is tied to obeying His commands while curses are rained on those who deal deceitfully. The Bible also warns that whatever is gained through sin does not endure and can separate us from God. So pursuing wealth and success by all means is counterproductive. Our priority as believers should be to honor God and His blessings that make rich without adding sorrow will follow us. In the same vein, we may feel the misconducts mentioned so far don’t matter, everyone does them. So they’re okay, right? Wrong! The scriptural quotations in this article were taken from the English Standard Version of the Bible. Robin Coleman née Burk was born in Arizona but raised in Oklahoma. 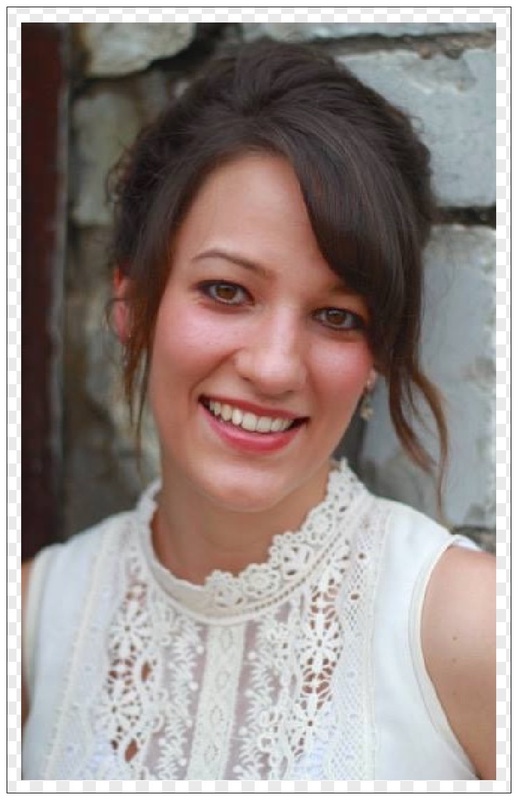 She is the author of two children’s books, “Destination White House” and “Cinderfella”. She is currently employed in direct sales which allows her to work from home and share hope, inspiration and minster to women around the world through the social media. She and her husband, Jason, are expecting their first child with great excitement. As you stated, the inconsistency of Christians in the workplace usually starts earlier, when as students, they develop the habit of doing just enough to get by and taking the easy way, especially when no one is looking. I am constantly trying to encourage my children to remember that for now school is their work and the Bible instructs us to work for the Lord rather than for our teacher, boss, company, etc. A lost world is not attracted to Christ when Christians treat their work so casually. Thanks for pointing out what so many of us need to remember in our daily lives. Thank you so much for dropping by, Marsha, and for your enriching comment. I thank God too for my dear sis, Robin, who contributed the post. I pray more grace and enlargement of coast upon you in all you do in Jesus' name. It is important that our faith be the foundation for all of our behavior, including in the workplace. But it is also important to remember that we never really know where another person stands in relation to Jesus, and we are not called to judge. Thank you for the reminder to always be seeking the will of God no matter where I am. Bless you, Marissa! Hope you and your family enjoy a splendid Easter season. Unfortunately, many Christians do not live the life that way they should in the work place. We live near a large community of Amish. And, if you say that cabinets, furniture, homes, quilts, etc. are "Amish-made" everyone knows that the work is excellent and the price is fair. Shouldn't that be true of all Christians? What a great topic for a blog post! Glory to God! It's easy to get sloppy and uncaring when we see others doing so and there's no reward for our excellence and scrupulousness. May God help us to remember we are working for Him, first and foremost, before our earthly employers. It would help us to be consistent and admirable in the way we carry out our responsibilities. Thank you, Kathleen, and stay blessed! Yeah, that was the snare that got the Israelites into trouble often too: wanting to be like others, lacking the courage to be the separated people God had called them to be. Thank you, Ailie, for visiting and be awesomely blessed of God this week in Jesus' name. Some believers are so desperate for wealth that they can do many ungodly things for that sake, my advice is, always remember whenever you are doing anything that there is a big eye that watches everyone up there.